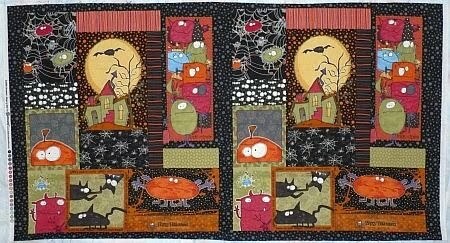 Burton over at Quilting Literati ran a contest for finishing UFOs. I was one of two winners. She sent me this pincushion and Halloween panel.